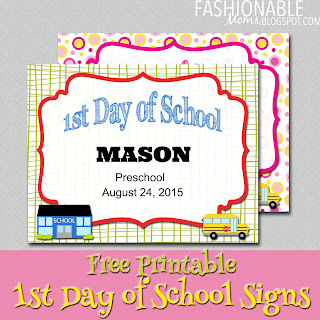 My Fashionable Designs: Free Printable: 1st Day of School Signs! It's been a busy last few weeks for our family with camps, parties, activities, etc....and in one week, school starts for our district!!!! 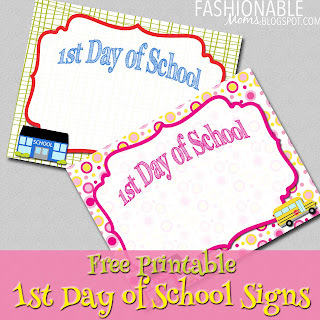 I wanted to share a couple new first day of school signs with you!! These are great for the kids to hold when you take all those first-day photos that the kids just loooove so much (haha!)!! Download HERE. 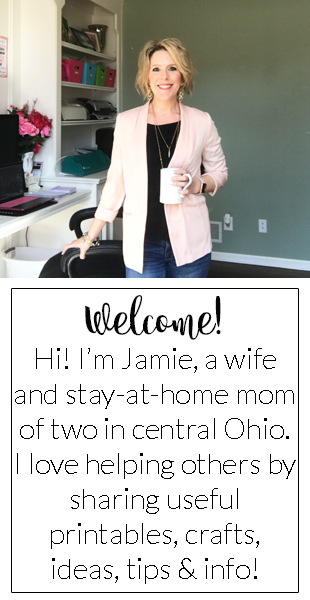 -->Don't forget to tag your photos with #myfashionabledesigns or #fashionablemoms when you post to social media so I can see them! You can print and write in the name, date, etc. Or use your own photo software to add text or use the free picmonkey.com! For your personal use only. Professional printing allowed. 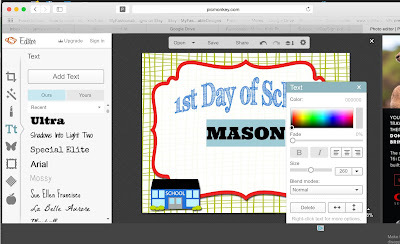 School clipart by DigitalBakeShop on Etsy.